Are you seeing yourself to be a flight attendant to any airline companies? 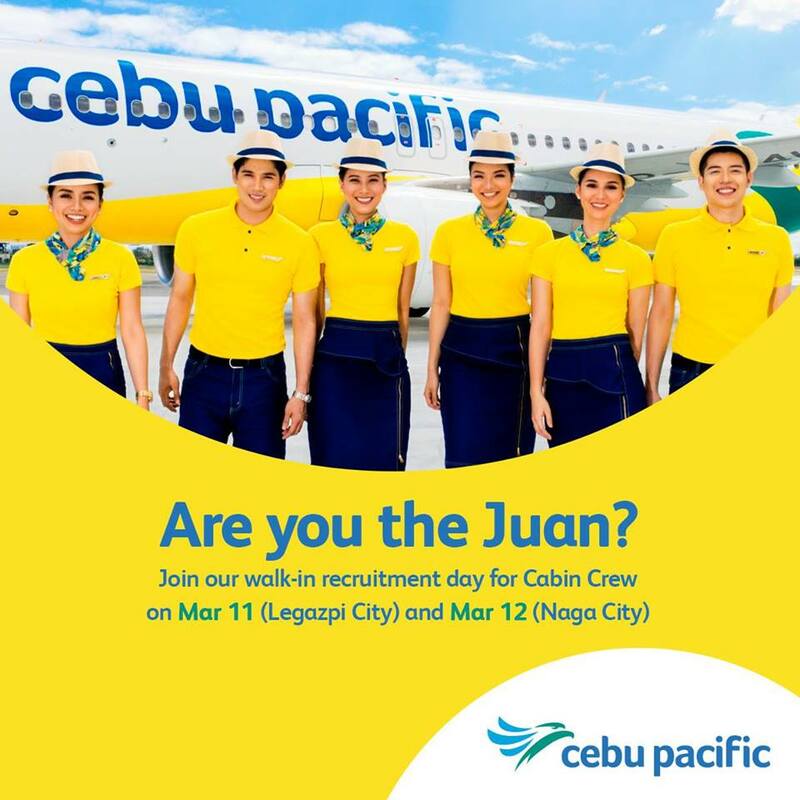 Start updating your resume and join the CABIN CREW ROADSHOWS FOR CEBU PACIFIC AIR & CEBGO. Cebu Pacific Air is currently looking to fill-up Male and Female Cabin Crew positions. Note that they will only be accepting CVs from 9AM to 1PM only. And be sure to come in business attire. PisoPromoFares is wishing you the best of luck and may your dreams do come true!